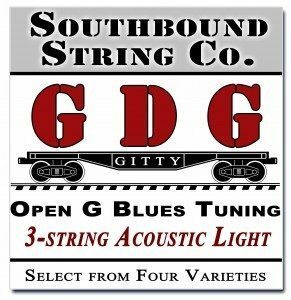 Children’s Songs – The How-To Repository for the Cigar Box Guitar Movement! 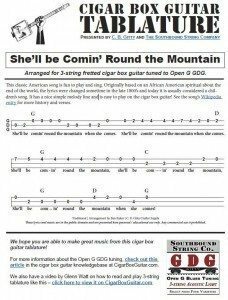 The tablature in the PDF link below will show you exactly how to play the melody and chords for the well-known children’s song Mary Had a Little Lamb. 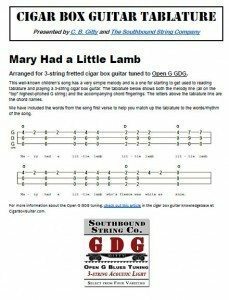 Click this link or the image below to view the printable PDF: Mary Had A Little Lamb Tablature PDF. 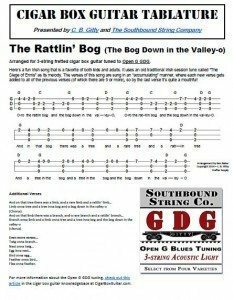 The tablature in the PDF link below will show you exactly how to play the melody and chords for the fun traditional Irish song “The Rattlin’ Bog”, also known as “Bog Down In the Valley-O”. This one is popular with kids and is a St. Patrick’s Day favorite. 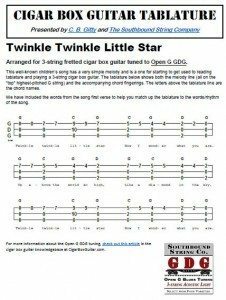 The tablature in the PDF link below will show you exactly how to play the melody and chords for the well-known children’s song Twinkle Twinkle Little Star. Click this link or the image below to view the printable PDF: Twinkle Twinkle Little Star PDF.